In a post Team Alliance announced that Razer, a brand well known amongst gamers for their top-notch gaming peripherals, will form a long-term strategic partnership with Team Alliance. Team Alliance is widely known for their dota 2 team winning first The International in 2013. Team Alliance was co-founded by Razer in 2013, at that time they only had Dota 2 players. Right now, Team Alliance have a roster of players across many popular esports titles including Dota 2, PUBG, Fortnite and more. They also have a line-up of popular streamers like Henrik “AdmiralBulldog” Ahnberg, one of the biggest Dota 2 streamer on Twitch. As a part of partnership with Team Alliance players will be getting latest gears from Razer. By working with Razer, Team Alliance will also have access to Razer’s extensive player-inclusive research and development program. Alliance will also have input on Razer’s new products. 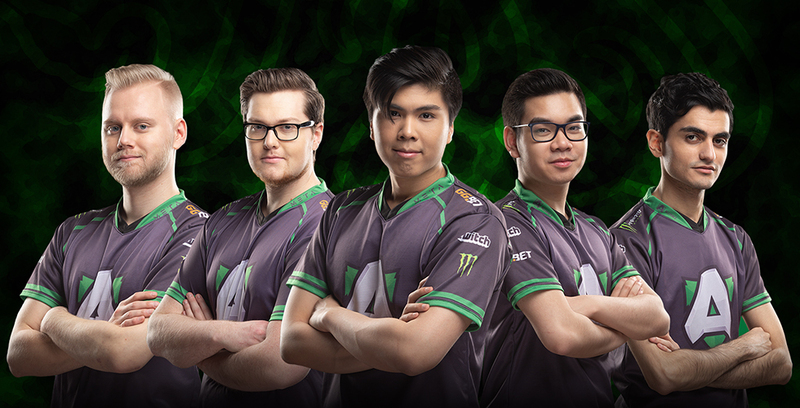 Razer helped create Alliance in 2013 because we saw an esports team that shared many of our core values. Since then, Alliance has continued to build their organization and community with a spirit of teamwork, fairness and dedication that has seen them achieve great success. I’m proud to once again partner with Alliance and, with the backing of Team Razer, Alliance are going to build a formidable line-up this year to make a huge impact within the esports arena. Today, I am absolutely thrilled to welcome Razer back as one of our main partners for the coming years. When I first started competing under Alliance, Razer was one of the first partners to come on board and support us. In 2013 when we won the Aegis at The Internationals, it was with Razer. Armed with Razer’s high-performance esports peripherals, our players and talents will now surely be ready for any stage or competition. Razer is a true pioneer in esports, made for gamers, by gamers – as a new player-owned organization, we cannot wait to continue growing the next big superstars of esports together.